Camping is one of those activities which everyone seems to love, and no one seems to forget. When asked where I am from, I would answer Idyllwild. The majority of the time, I would hear the reply "Idyllwild? I used to go camping up there when I was a kid". 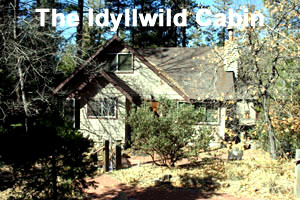 Idyllwild has some of the best camping around and offers camping for all types. The location of Idyllwild makes it easy and convenient for families and friends to get away for some camping in the star-filled skies of Idyllwild. Some people prefer the fishing and camping of Lake Hemet in the Garner Valley area. Others prefer to camp out in tents in more remote areas. Whatever your camping requirements are, Idyllwild will most likely be able to accommodate.